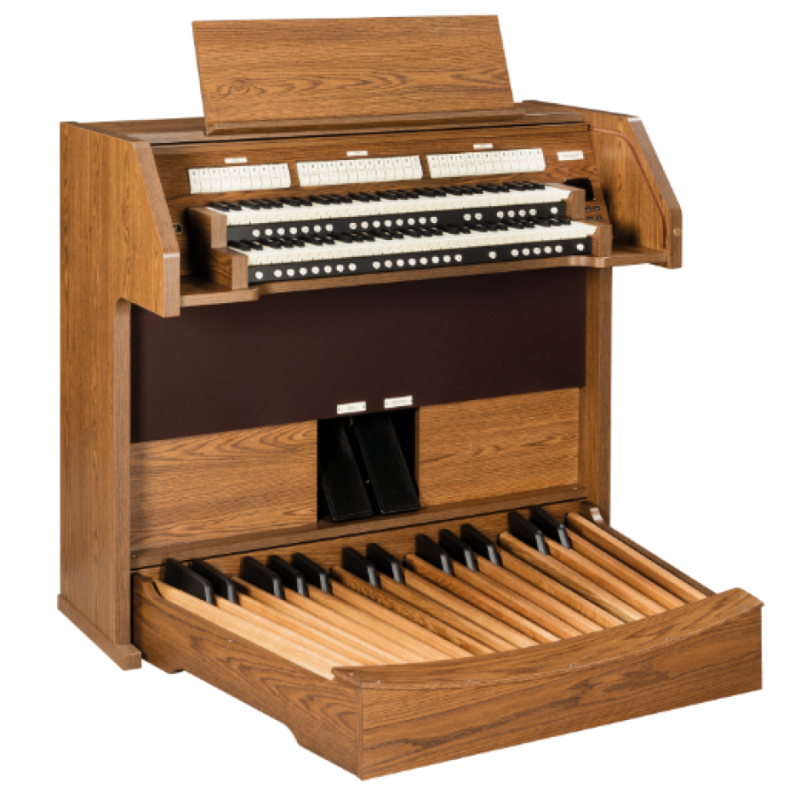 This 21 stop instrument is set in a real wood veneer cabinet. 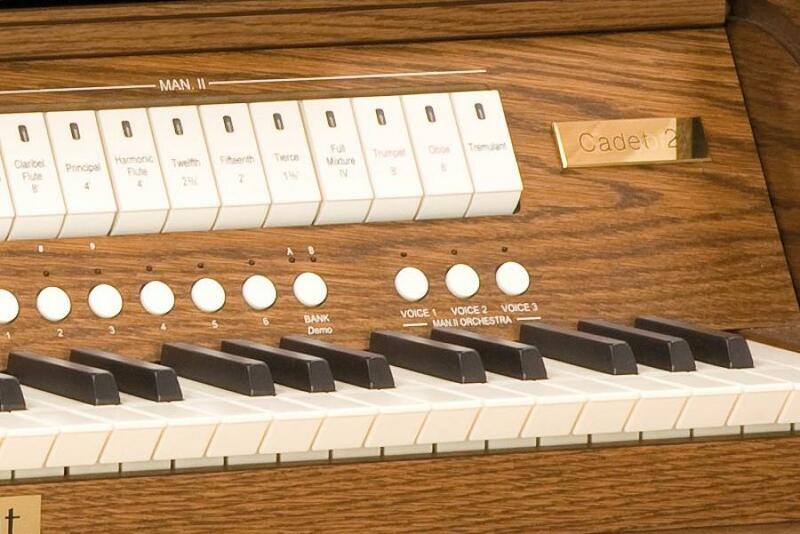 The keyboard can be split to allow it to be used as a 2 manual instrument with separate solo and accompaniment voices. 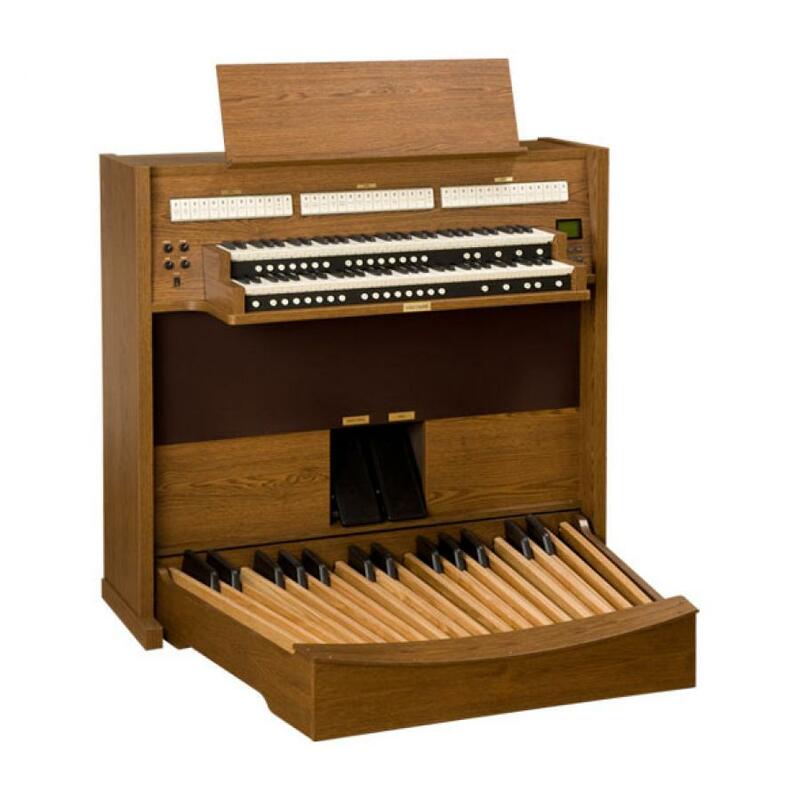 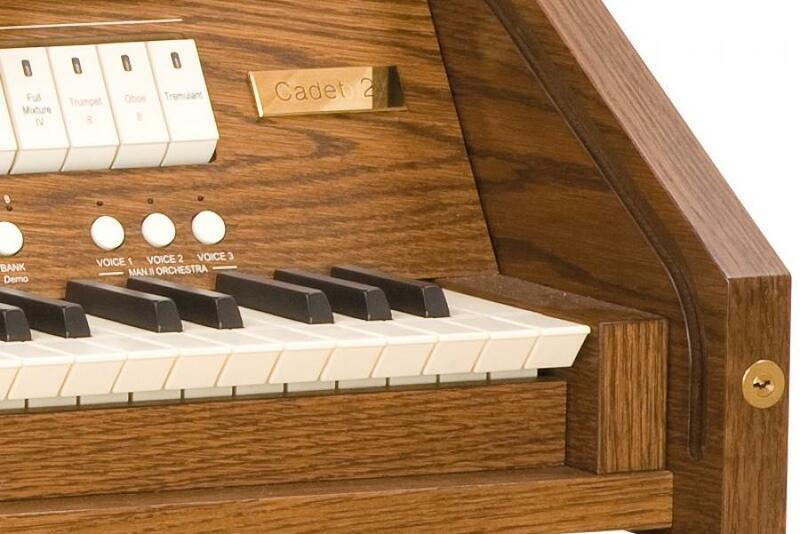 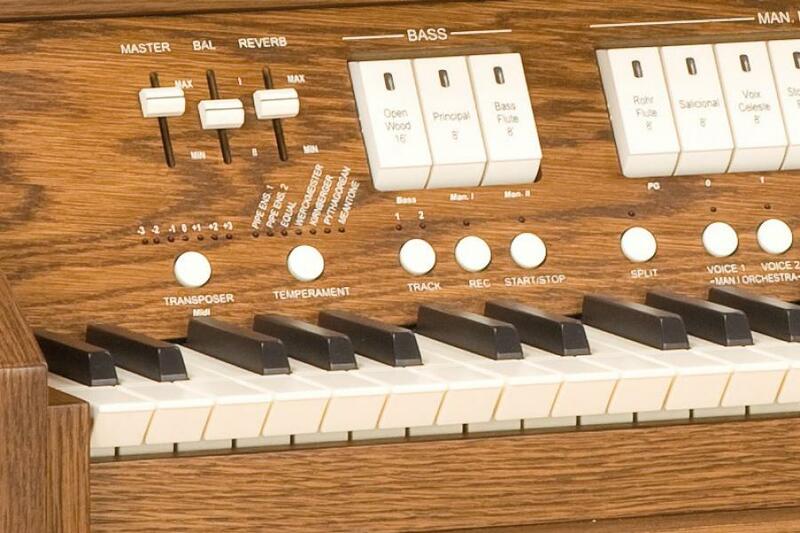 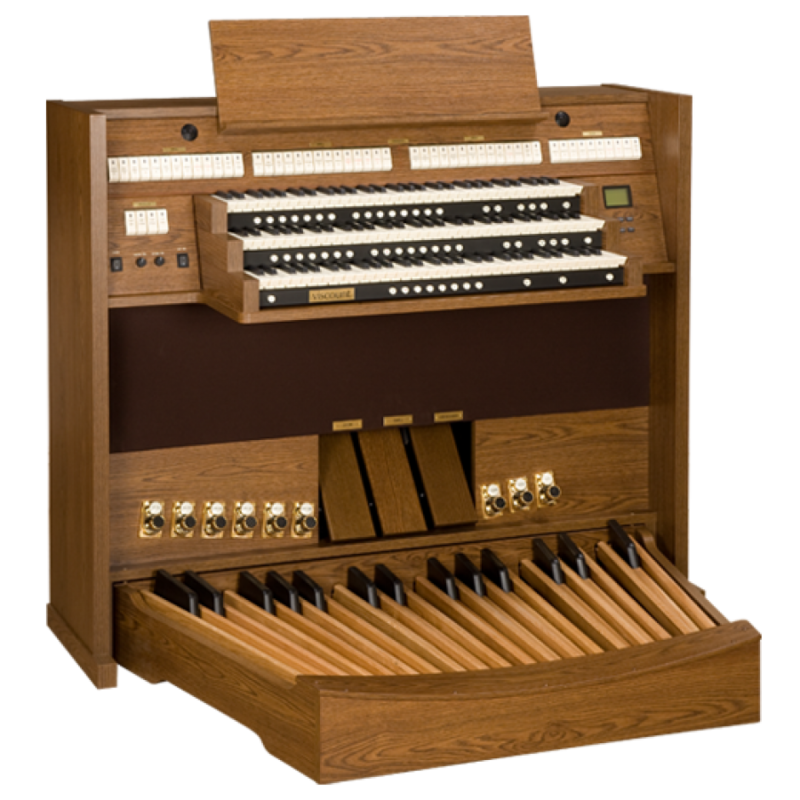 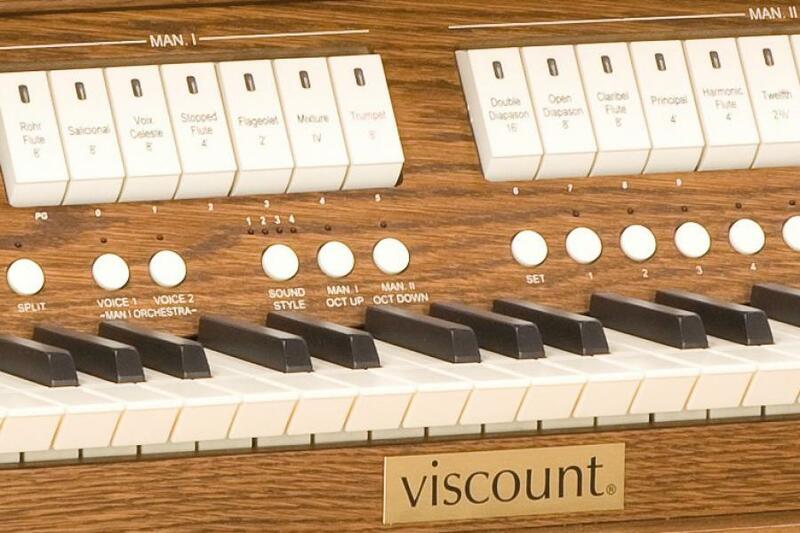 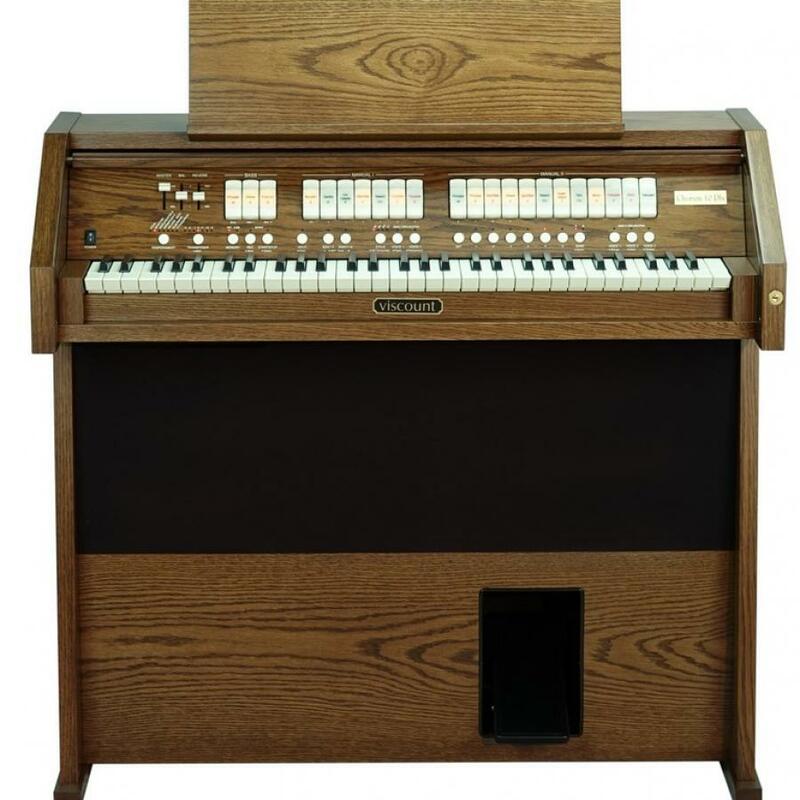 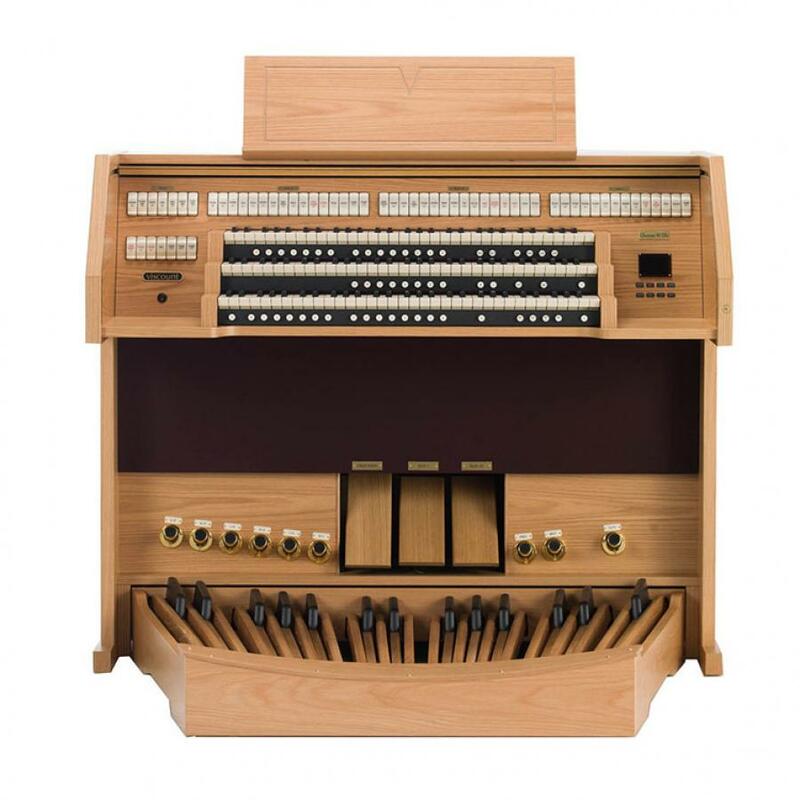 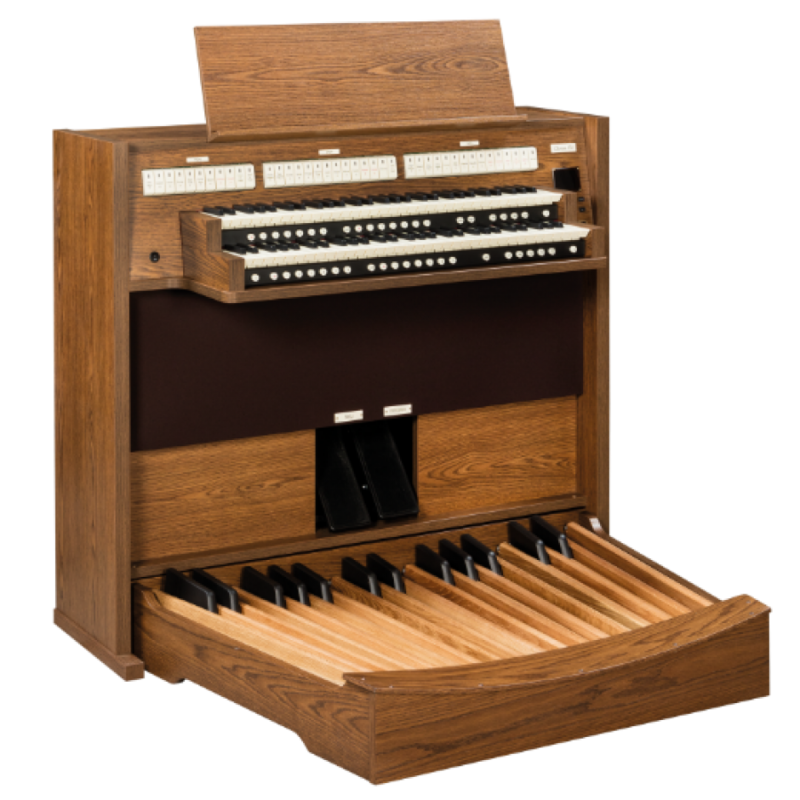 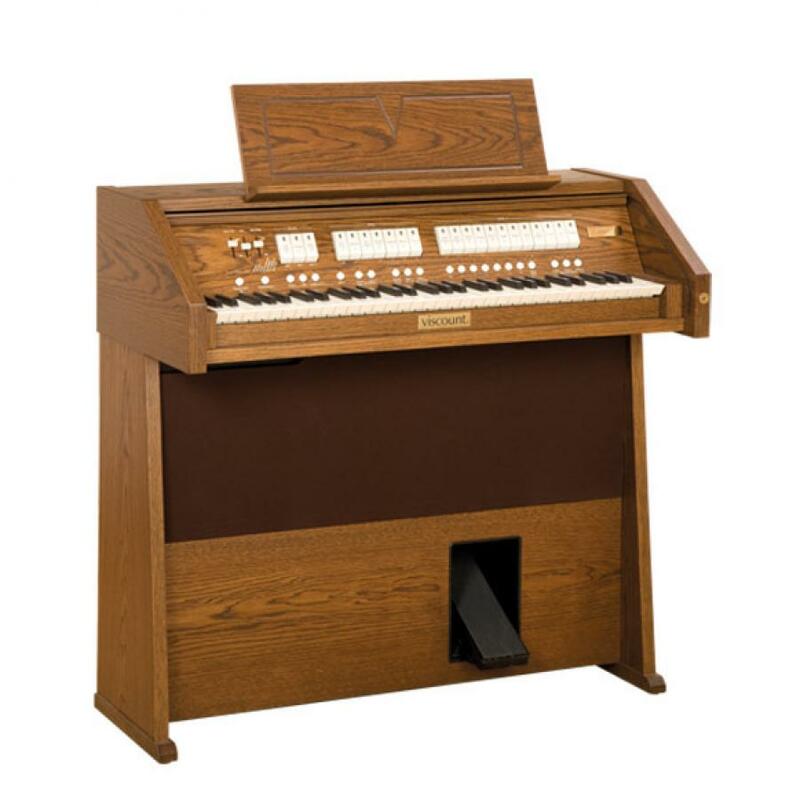 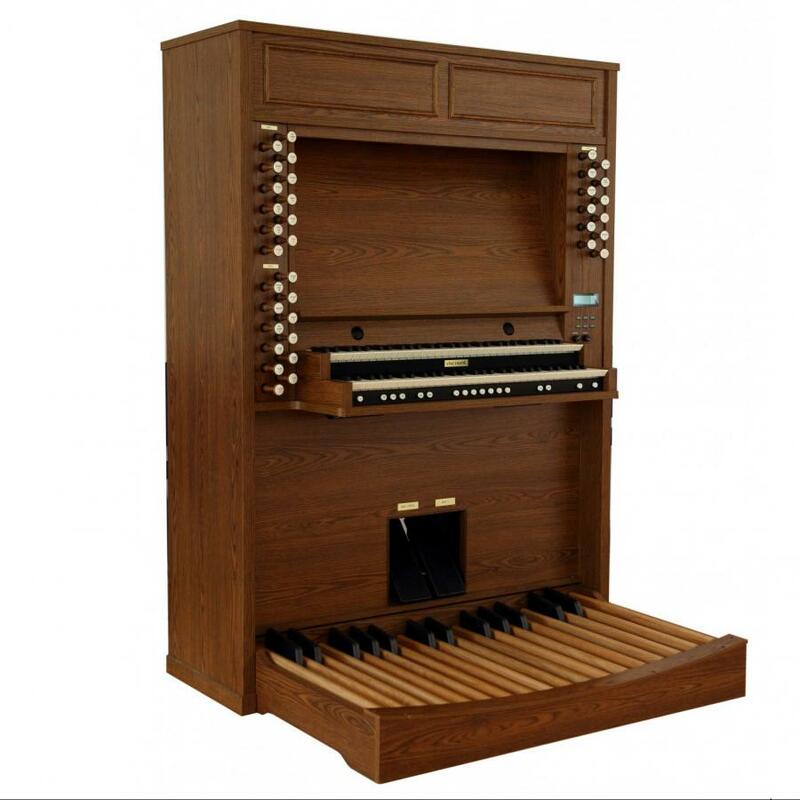 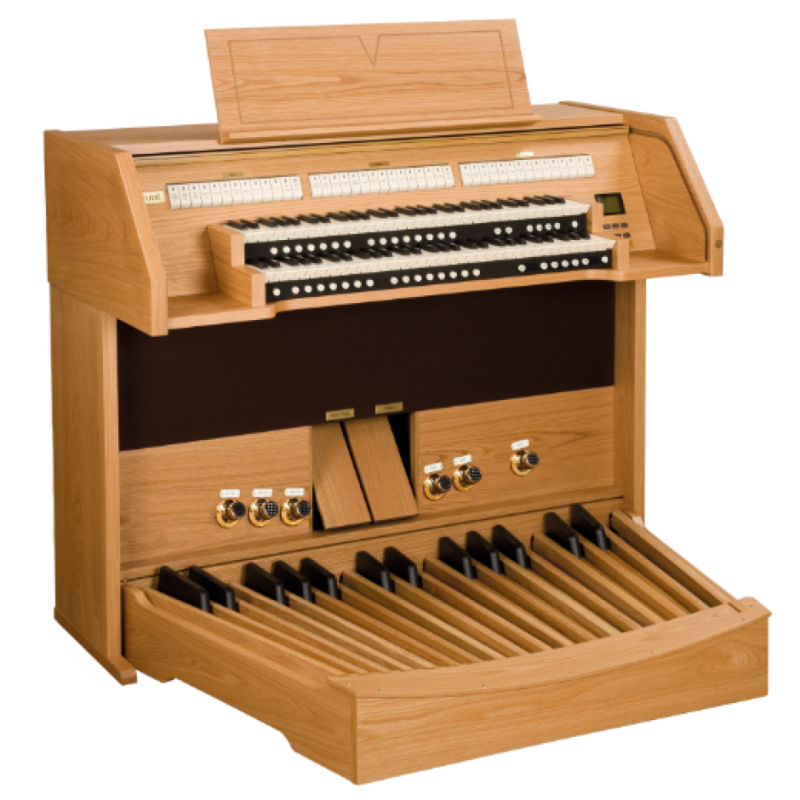 Based on Viscount’s sampled sound system, 4 alternate organ voicing styles are built into the instrument.